Italian cuisine at its best; what does it taste like? to treat your evening with edible mastery pairing with witty wines. 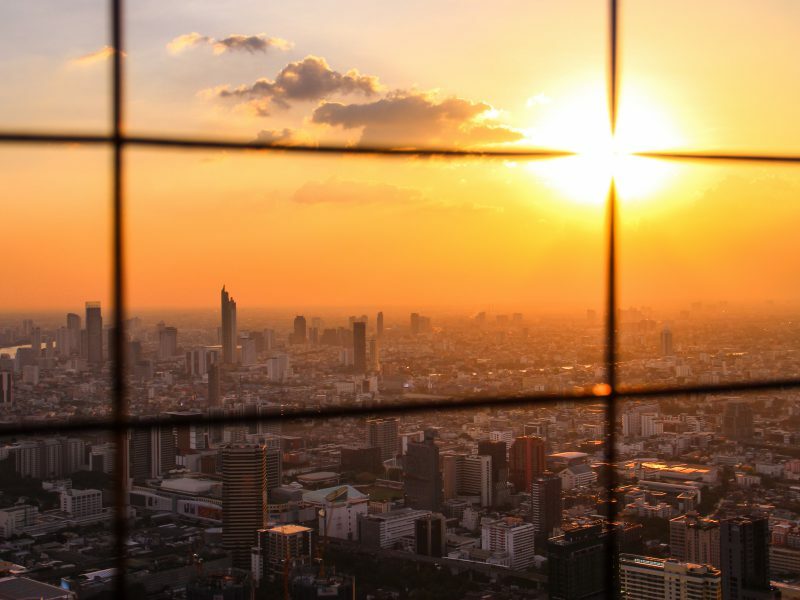 On the 28th floor of Radisson Blu Plaza Bangkok, Attico is a utopian urban place to relish in a dreamy candlelit dinner with a view through large glass windows, or on airy terraces overlooking Bangkok’s stunning sunset. 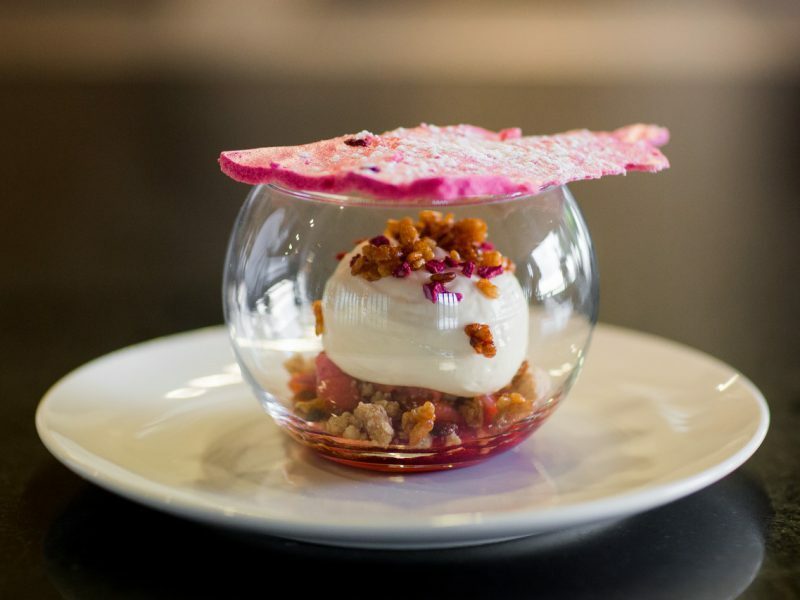 By crafting first-rate traditional Italian tastes with a playful twist while using only well-selected ingredients, the restaurant relentlessly impresses food aficionados, as well as fine wine lovers. 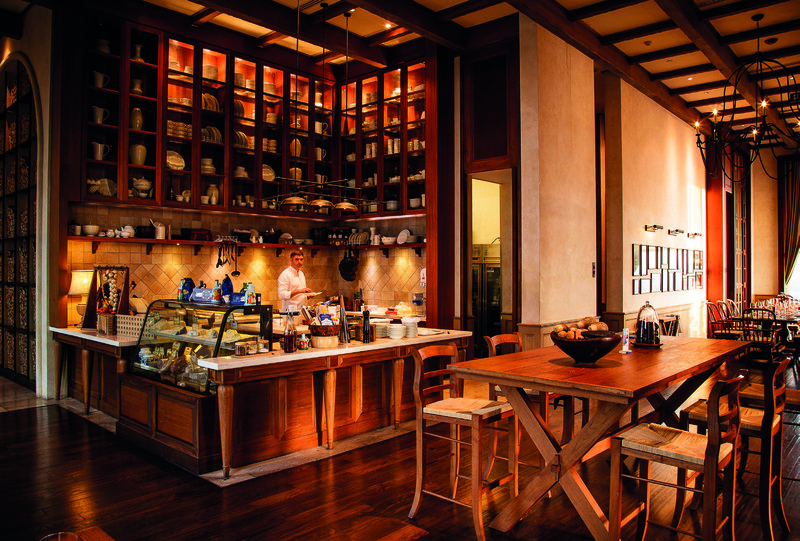 The Tuscan-inspired eatery serves the edible zest of nationwide Italy, and we can indulge in the rich flavours of Italian culture. Its design is one of the most attractive features. Stepping inside Attico, its elegantly rustic design with bricks and wooden barrels greets me with enigmatic warmth, while the high ceiling adds a sense of lighthearted luxury to the whole room. The semi-open kitchen alongside a butcher counter makes this place feels more like a home, together with photography of old-time suburban memories hanging on the walls. A pan of temperate pizza can say a lot about an Italian diner, and at Attico, the Rustica pizza (THB 490) tells a story of hearty cooking back in the kitchen, using charismatic Tuscan ham, mozzarella cheese, ricotta cheese, head cheese, and sundried tomatoes that add subtle sweetness into this cheesy plate. 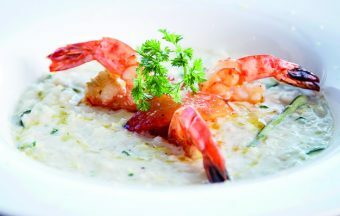 Risotto (THB 460) is rather mild in flavours, but rich in creaminess and the charming aroma of pan-fried tiger prawns, sautéed zucchini, tomato confit and a bit of lemon zest. 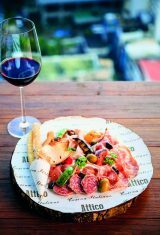 Appetising cold cuts (THB 820 for a portion for four) are a perfect pairing with red wines, and cured meats at Attico are of high quality that shows in every chew. Upon finishing the main dish, don’t miss trying tiramisu (THB 320) which is lusciously moist and is one of the most delightful tiramisus I’ve ever tried. This special year comes with mouth-watering festive cuisine to amplify the delights of the months-long feast. Ribiolina cheese mousse (THB 820) topped with black truffle is a comforting appetiser to try, with its unique texture of cream cheese that gives a faintly fluffy feeling, reminding me of a tender childhood. 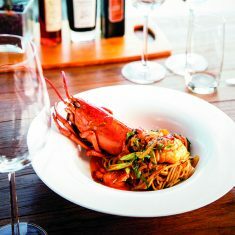 Homemade tagliolini with Boston lobster and sautéed jerusalem artichokes (THB 850) is led by an intense bounciness and charming flavour of the lobster, and followed by a merry seasoning in an Italian style. 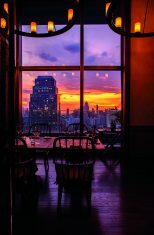 Attico opens only for dinner (17:00 – 23:00), which is the best time to enjoy the city lights. I remember leaving the restaurant with a big smile, being happily satiated and fascinated by the sight of the skyline. I remember others looked more than happy too.